Description: This toy is made from chinchilla safe pine and natural sissal. The pine carrot is colored are dyed with human grade food dye. 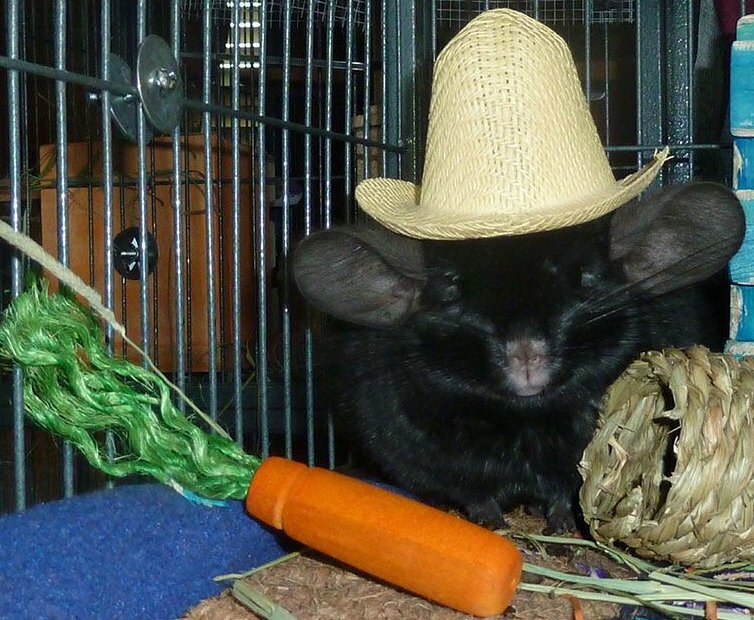 It is the perfect size for chinchillas to drag and toss around the cage. The total length of the toy is about 6 inches. 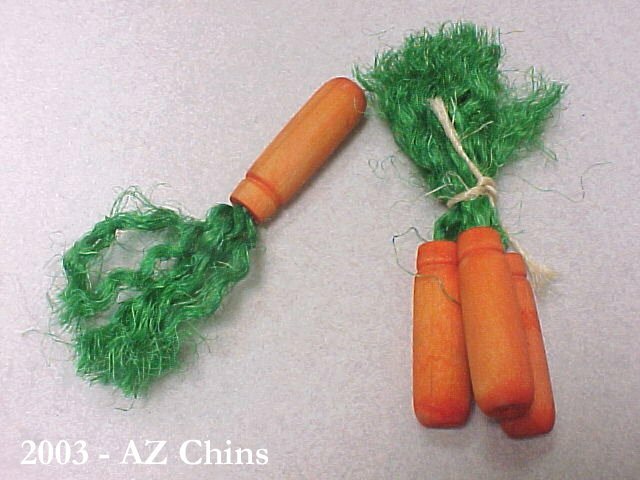 They come in the single carrot or three carrot bunches and also in a hanging toy version. 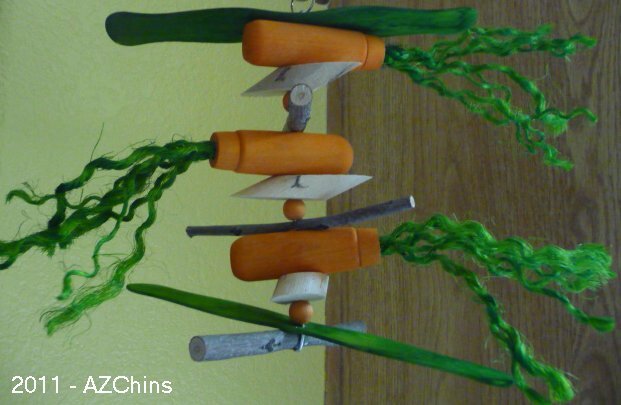 The Harvest Carrot hanging toy has three carrot toys with other toy pieces. This means that the carrots stay clean and off the ground. There may be yucca, pecan, sisal, seagrass or hardwood pieces on this toy. The size and shape of additional pieces may vary, but the toy always has three carrots and is approximately 6 inches long.